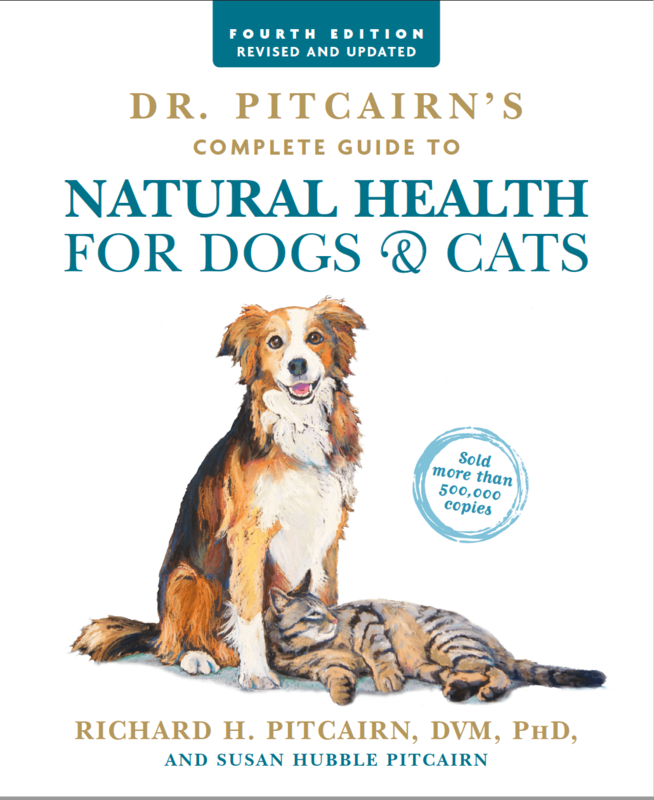 Dr. Pitcairn’s Complete Guide To Natural Health For Dogs and Cats Over 500,000 copies of Dr. Pitcairn’s Complete Guide to Natural Health for Dogs & Cats have been sold since its original publication 34 years ago. This is the fourth edition shown. Writing with the warmth and compassion that have won them a national following, veterinarian Richard H. Pitcairn and his wife Susan Hubble Pitcairn, noted specialists in chemical-free nutrition and natural healing for pets, show dog and cat owners how to provide the very best in companionship and lifelong care. This edition has had much revision as the changes in agriculture and factory farming of animals has necessitated a reconsideration of the quality of food available for our use. The increased use of herbicides, pesticides, genetic modification of foods, antibiotics and hormones since the last edition was published has greatly altered, and made more complex, the process of choosing food sources for our animal friends. There are three areas of focus in this regard — health, earth resources, and our relationship to the non-companion animals used for food. The recipes have been extensively updated to reflect these three concerns and to provide the most healthy food possible for those animals close to us. Included is an extensive (“Quick Reference”) section on handling emergencies and also suggestions for treatment of commonly encountered health conditions. Besides the emphasis on good nutrition, the treatments emphasize the use of homeopathy and herbs. How this direction of health care developed in Dr. Pitcairn’s experience. What’s really in commercial pet foods. The more recent changes in food quality, and its effect on health. The larger context — the need for a cultural change in agriculture. Alternative fresh food recipes to make at home. Special diets for special health situations (young or pregnant animals, vegetarian diets). Non-toxic grooming and flea control. How to responsibly live with our companion animals. Saying goodbye to our friends — coping with loss. Natural care for common ailments. Alternative treatments with homeopathy, herbs, and wholesome foods. First aid tips, treatment of emergencies. This 4th edition was released in March 2017. You can order now. Since the book has come out there has been a slight change in the formulation of Vegecat, a supplement we recommend in several recipes for cats. The new formulation of Vegecat can be given in slightly larger amounts. This difference is not important as the amount change not very significant but we post the link here for completeness. 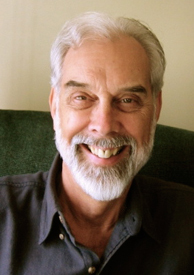 See the recommended changes at Compassion Circle – Dr. Pitcairn’s Guide. Note: In April of 2014 some of the information (mostly calcium/phosphorus amounts and recipe amounts) were updated to coincide with the current formulations available on the market. If you would like to add these changes to your book then peruse this pdf document that has the changes.